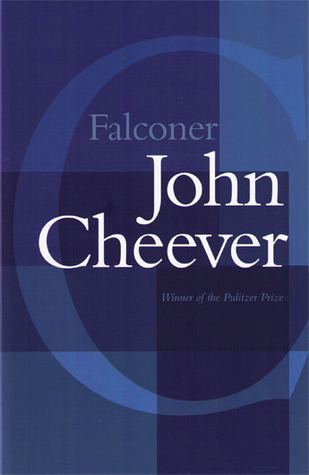 I got on to this book after reading a recent Slate review, which claimed that Falconer was John Cheever’s masterpiece. I was surprised. Although I hadn’t read much Cheever, I’d thought his collection of short stories, which aficionados refer to as “The Big Red Book”, was his chief claim to fame. As a bookseller, I’d noticed Falconer on the shelves, of course, but assumed it was a lesser work. I also guessed that Falconer was the name of one of his wealthy east coast suburbanite heroes. Falconer, however, is the name of a prison. And this is the story of a wealthy east coast suburbanite, but one who has been newly incarcerated for the murder of his brother. As the novel opens, Ezekiel Farragut, who is not only a murderer but a drug addict, walks through the prison’s gates and reflects that this is the place where he will die. It proves more accurate to say that this is the place where he will live. For life doesn’t stop in prison, it continues ravenously and voluptuously on. Cheever taught classes for awhile at Sing Sing and he uses many of the stories he learned there as the basis of tales told to Farragut by his fellow prisoners. (There is one particularly lurid scene that Cheever made up, and which the prisoners of Sing Sing were angry about on his return visit. He was contrite.) It was interesting to me that Cheever decided to tell the story from the point of view of a prisoner and fellow miscreant rather than as an omniscient voice hovering somewhat above their plight. But in the process of trying to write this novel, Cheever’s alcoholism became so severe that his brother hauled him away to a treatment center, where his experience must have borne some similarities to incarceration. It is perhaps only from the perspective of prison that Farragut can see the true freedom that people actually have. And it is by immersing us in the experience of prison empathetically that Cheever gives us this (perhaps fleeting) glimpse of our own ever present options.